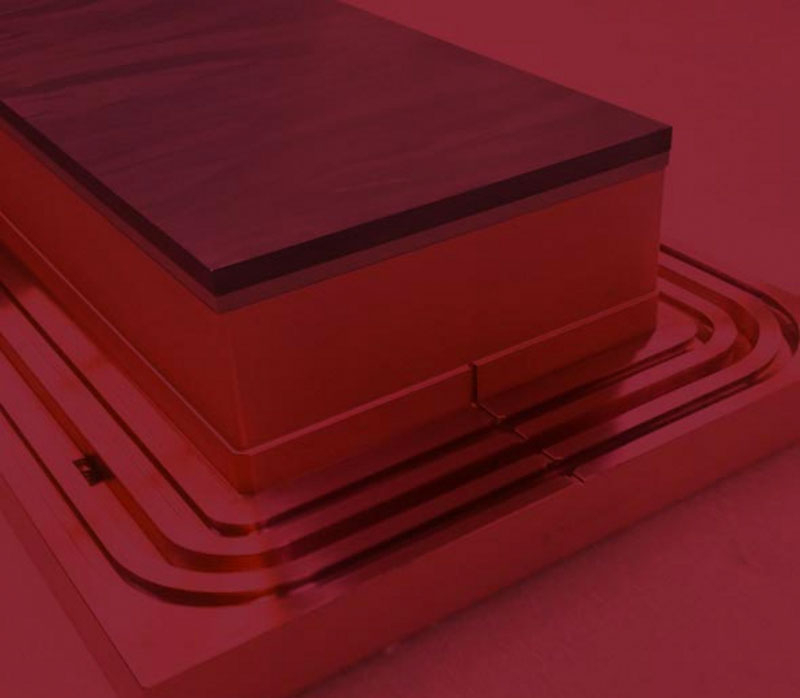 Copper is widely used in electronics, such as in printed circuit boards, cables and connectors, because it conducts electricity well and its cost is moderate. However, copper forms an oxide layer when exposed to air, which impairs its ability to bond or be soldered as well as its electrical conductivity. This corrosion problem occurs, for example, with connectors, bonding and soldering pads and high-frequency conductors that only carry current on the outside. That is why a thin layer of gold is often used to protect the copper from corrosion. A diffusion barrier is sometimes added between the gold and the copper since the copper will diffuse through the gold layer over time. The system should be able to coat a layer of corrosion protection on small connectors or wires fixed on a 150 mm diameter surface on a substrate holder. The surface needs to be cleaned in advance with an ion beam for good adhesion. The process should ensure that the coating of 3D substrates is equally thick on all sides. Since this is a production system, it needs to be able to automatically process several of these substrate holders in succession, which means that it needs to have a magazine. Future expansion with additional process chambers should be possible. The FHR.Star.100-TetraCo is a cluster system with a loading lock, a central transfer chamber with 2 free ports for future expansion, and a process chamber. The loading lock includes a magazine for up to 5 substrate holders. The transfer chamber robot transports these substrate holders into the process chamber. This substrate holder is placed on a rotating holder inside the process chamber for uniform coating. There is an ion source arranged confocally in the process chamber cover for pretreatment and three DC sputtering targets for coating with gold or a diffusion barrier. It is possible to co-sputter with different materials or it can be equipped with an RF sputtering target.